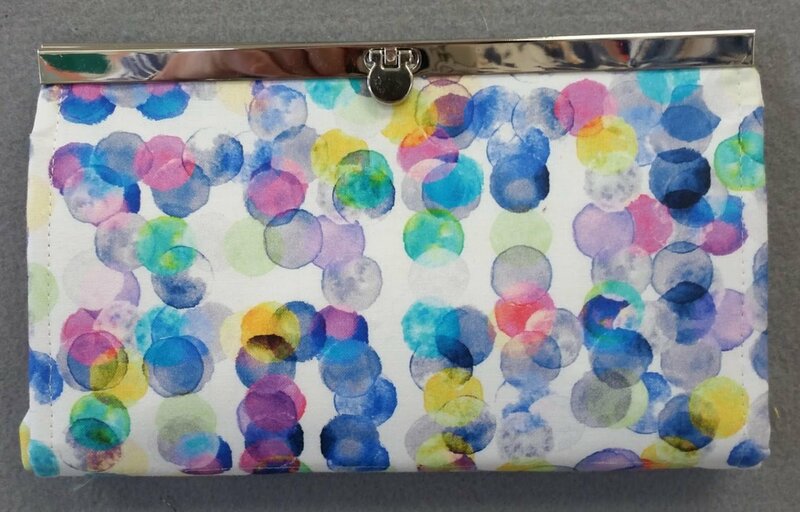 What a wonderful wallet to make for yourself or give to someone special, think Christmas or birthday gift. 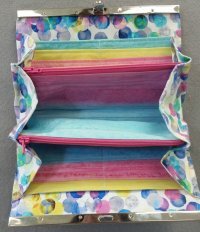 The interior of the wallet has: two open slip pockets for money, receipts, or notes; 12 credit card/gift card slots; two roomy zipper pockets; and room for your glasses, lipstick, or comb. The clasp and side enclosures help to ensure that everything stays in the wallet! This wallet could easily be used as a small clutch bag.